 Prominent placement as sponsor in any local newspaper ads, radio, etc. o Bakeless Bake Sale (Summer direct mail program to over 5,000 local residents). 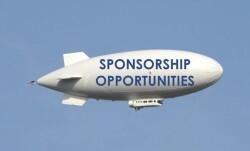  Listed as sponsor on WCHS website. o Imprinted items: t-shirts, sweatshirts, caps, aprons, etc. o Cleaning products: disinfectant cleaner, laundry soap, etc. willcountyhumanefundraising@gmail.com with your ideas and we’ll be happy to respond and discuss!